Shira Hanau wins Rookie Reporter of the Year; Hannah Dreyfus takes third place in Writer of the Year. L-R: Shira Hanau and Hannah Dreyfus, staff writers at The Jewish Week. The Jewish Week today won two awards from the New York Press Association. Shira Hanau won first place in the Rookie Reporter of the Year category. Hannah Dreyfus won third place in the Writer of the Year category. Hanau, who began working at The Jewish Week full time last May after graduating from New York University, covers Jewish communal politics, Jewish life on college campuses and politics surrounding Israel and the Boycott, Divestment, and Sanctions movement. She distinguished herself with her in-depth, on-the-scene reporting following the murders in October 2018 at the Tree of Life Synagogue in the Squirrel Hill neighborhood of Pittsburgh. 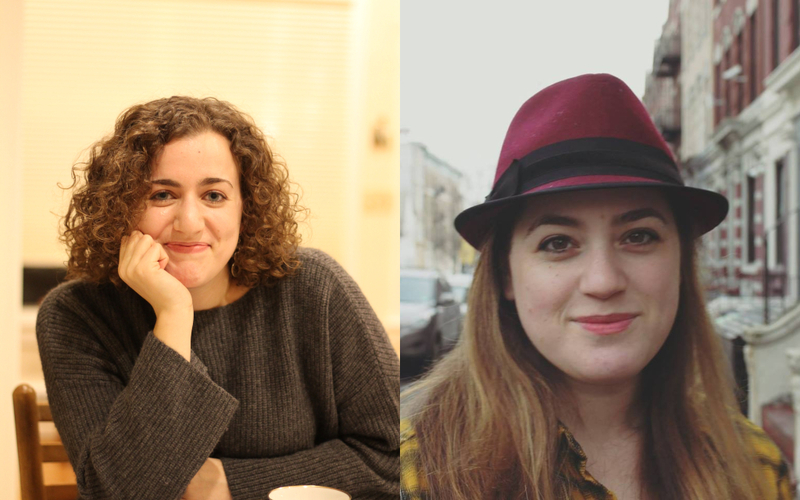 “We are very proud of Shira and Hannah, not only for their reporting skills but for the seriousness and maturity they have shown in handling a range of difficult and delicate assignments,” said Jewish Week editor and publisher Gary Rosenblatt. He noted that both women had been editorial interns at The Jewish Week when they were in college, and he credited managing editor Robert Goldblum for his work with both reporters on their news gathering and writing and in navigating the complexities of their stories. Dreyfus’ work has focused recently on abuses of power within religious and nonprofit settings, including several recent #MeToo-influenced investigations and a deep dive into child sexual abuse at organizations serving youth. Her diverse body of work includes investigations into means of extortion in the Kosher food industry; unregistered foreign agents operating in the oil-rich Emirate of Qatar; and communal stigmas surrounding mental health, opioid addiction and suicide.